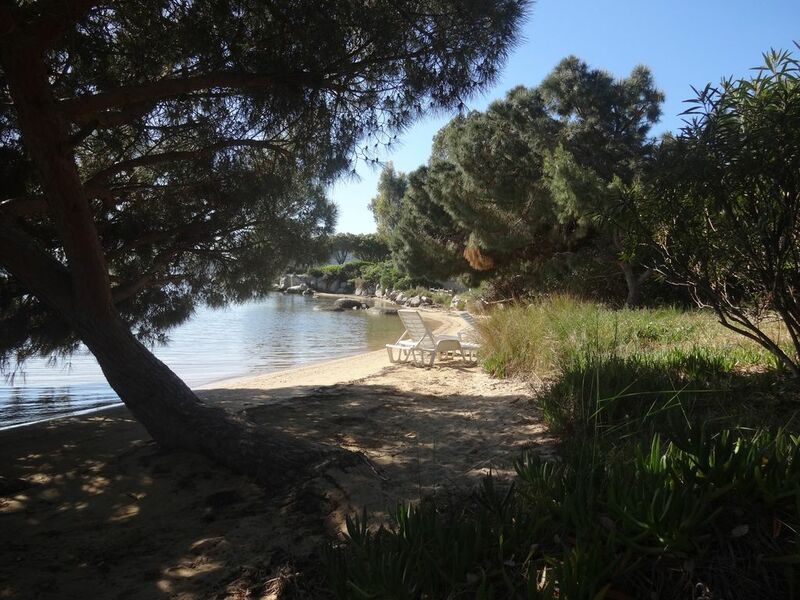 20 m from the sea, on an intimate beach in the Gulf of Porto-Vecchio, in a small quiet building, unique and privileged location in a natural setting among cork oaks, pines, mimosas, oleanders, feet in the water. Located in a small quiet condominium, ideal for children, sunbathing welcome you to the waterfront. The car park is set back, apart from the houses for the safety of the children. je n'ai jamais vue une maison aussi proche de la mer ....c'est vraiment pieds dans l'eau, le domaine est très calme, il plane une zénitude absolue. Les transats permettent de rester à l'ombre des pins parasols sur l'arrière plage pour lire et se reposer! quel plaisir !!! Located in a small condominium quiet, ideal for children, sunbathing welcome you to the waterfront. The car park is set back, outside the houses. Mini duplex villa, 2 rooms, 4/5 people. From 20 to 50 meters from the sea, on an intimate beach in the Porto-Vecchio Gulf, in a quiet building, unique and privileged location in a natural setting among cork oaks, pines, mimosas, oleanders.